Apple’s WWDC 2017 keynote just delighted. Where Tim Cook, key executives Craig Federighi, Phil Schiller took the stage to announce updates headed to iPhones, MacBooks, Apple TV, and much more. 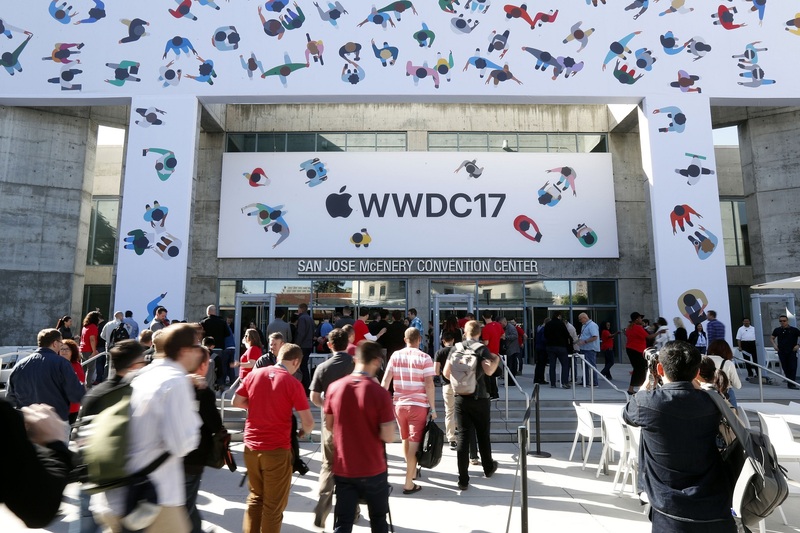 Apple puts on a mostly-annual developers conference in California to showcase new software, software updates, and – sometimes – technologies that developers can leverage in order to make their apps more innovative and up to date. Apple introduced a Siri-powered speaker called HomePod, a new iPad Pro with a 10.5-inch screen, watchOS 4 for Apple Watch, Mac OS High Sierra for Macs, iOS 11 for iPhones and iPads, and more. Apple has announced new version of iOS which comes with new features expected for released in September. Imessages are now stored in iCloud, so all your messages will be stored in cloud but they will be end-to-end encrypted for security. Person to Person payment is now also included to Apple Pay. Siri has a new, more natural voice and can translate from English to Chinese, French, German, Italian, etc. The Camera app improves in iOS 11, using HIEF compression for photos. They will look as good as normal JPEGs but at half the file size. New option are added for photos. Apple has revealed some features of the WatchoS 4 which will released later this year. Music app is also redesigned which can now automatically sync music and show cover art on screen. Demo of New Dock is also showed by Apple which will show you your recently used app’s so you can scroll down through more easily than before. Apple also announced Mac OS High Sierra at WWDC. It’s a major update to Sierra, which was rolled out last year. Apple Executive Craig Federighi told to Developers that, High Sierra is “Fully Baked now”. The new Mac OS is about deep technology with some refinements. Safari is now a “World’s Fastest Desktop Browser” with High Sierra. It now offers Autoplay blocking and no longer has intelligence tracking prevention. Biggest refinement in High Sierra is done in photos. Now video will support H.256 in High Sierra. Apple’s iMac lineup has received an almighty boost. The new iMacs will now be fitted with Intel’s 7th Gen kaby lake processors. More Memory will be given ever before: 32GB for 21.5 inch display and 64Gb for 27 inch display. The solid state storage drives now can be store up to 2TB. The 21.5 inch iMac has Intel Iris Plus Graphics and 21.5 inch iMac with 4K model has discreet Radeon Pro 555 and 560 processors. The 21.5-inch iMac will start at $1,099, while the 21.5-inch with 4K display is $1,299, and the 27-inch with 4K display starts at $1,799. Apple also introduced iMac for professionals. It takes things to the next level with huge amount of power. It comes in Space grey and the design is based on 27 inch with 5K iMac design. Starting configuration comes with 8-core xeon but there will be choice for 10 –core or 18- core version also. iMac will be equipped with new Radeon Vega GPU’s which offers 16GB of vRAM. Price of iMac Pro is definitely high but it is for those who want to develop in VR environment. It’s cost is $4,999 and will be available from December 2017. The new HTC vive will soon be compatible with Mac. Apple revealed that it is adding Steam VR support to High Sierra, its new version of Mac OS to be released this year. Demos of HTC vive were shown at WWDC. iPad Pro replaced the iPad Air 2 which is of 9.2 inch display. It looks like an old iPad pro which was released earlier this year, but this one is with larger Retina display with 10.5 inch with 20 percent larger. The new iPad pro allows a full size keypad onscreen and you can also attach physical keyboard to it. The new features for iPad pro is it comes with ProMotion which doubles the refresh rate to 120hz and support HDR videos. The new iPad Pro is powered by the A10X six-core CPU, too, with a 12-core GPU included. Cameras have also been upgraded . It has a 12-megapixel camera on the back and a front-facing 7-megapixel camera. Internal memory is 64GB, 4 improved speaker sound system. The new iPad Pro supports Lightning rather than USB-C. The price of iPad Pro is $ 649.99 which is available for preorder. Apple has announced its own music system in the form of the HomePod speaker called Siri. The HomePod is designed to take on the Amazon Echo in smart functionality, but it also systems like Sonos in audio quality. It has a seven-beamforming tweeter array to fill a room multi-directionally, plus a 4-inch woofer. The speakers are controlled by Apple’s A8 processors. It enables many features, such as multi-channel echo cancellation and separation. The smart functionality, combined with Siri voice control and Apple Music. It can also, set reminders and timers and find out news, etc. It’ll cost $349 and will ship in the US, UK, and Australia from December. Apple has announced that it is redesigning the app store as part of iOS 11 which will released this year. There is a “All new Today” tab which will show new games and apps recommended for that day only. Apps also gets its own tab and is like Games. Every app and every game gets a new product page on the store with all new features and a friendly design. Monument Valley 2 is now available on the App Store announced by Apple at WWDC 2017. Apple has confirmed that itself and Amazon have finally settled some differences, as Amazon’s Video app will make its way to Apple TV later this year. Amazon Video is the last major video app missing from Apple TV, not including All 4 and ITV Hub, and its addition would make the Apple TV a more attractive option as a set-top box. So, this was the announcement made by Apple at WWDC 2017.